When trying to ensure a company’s content marketing strategy has success, it requires the implementation of the appropriate tools and applications. The number of these applications that are available is quite large, so it is good to review the benefits and features of each in order to see which one will best help market a company’s brand. By quoting the words of this philosopher, the purpose is to showing that picking the proper tools are of the utmost importance when implementing a marketing strategy and maximizing its effects. Tools discussed in this section are useful for developing editorial schedule, systemizing the order of operations, & assigning tasks to specific team members. All of these will lead to developing an overall marketing strategy. You can add comments, task lists and deadlines labels to each card of tasks. The Trello interface is available in a Polish language version and it can also be used by applications running on devices with iOS or an Android system. The users receive notifications about changes in the projects in which they are involved via email or directly in the application. The basic version of the application is free of charge and does not impose a limit of members. Paid versions offer options of adding bigger attachments as well as API integration with more applications, like GitHub the paid version also has more extensive authorization security and support. Asana is a tool competitive to Trello. 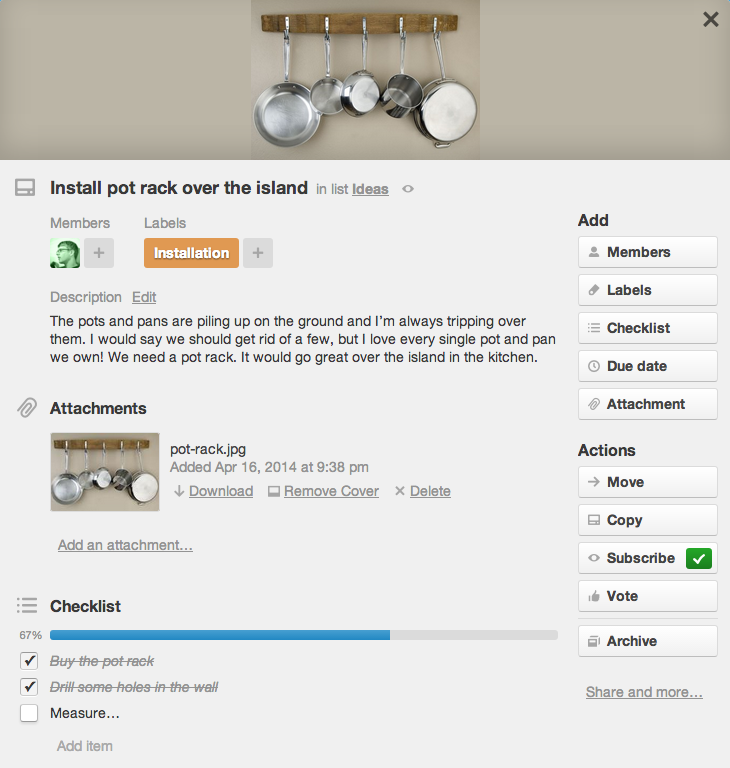 Once you create a project in Asana, you can manage it by creating tasks, sections, and tags. The program allows you to build teams, assemble them and manage their access. 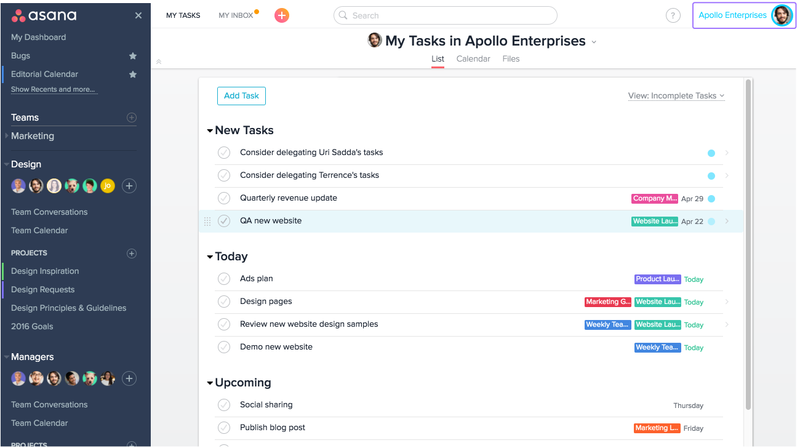 Asana is free for a team of up to 15 people. Bigger teams must purchase the premium version. This application can also be used from mobile devices on the Android system. The Evernote application has two versions, one of which is dedicated to freelancers or simply private people and families. In this version, you can completely use the program provided that your account does not exceed the limit of 60 MB of data transfer per month. The second version of the program is specifically designed for companies and teams for the implementation of their projects. 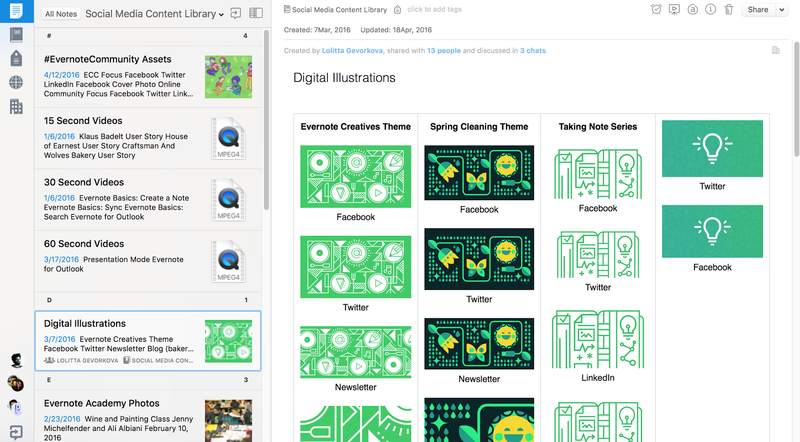 Evernote allows you to access your projects on multiple devices, the free version is perfect for creating notes, sketches and diagrams, and preparing lists of tasks or articles. Useful features and options are choosing language versions, and automatically creating notes, photos and audio clips via e-mail. This tool is used for simple time management and organizing tasks. Due to the fact that it is a Google product, the application is perfectly integrated with Gmail, Google Calendar, Google Keep and Google Now. The application is available free of charge. Facebook Audience Insights is an extensive tool. Unfortunately, its biggest marketing profile is for user profiles for the US market. When preparing a campaign for the US market, you can use it to precisely define the size of the target group using segmentations such as income & wealth, real estate ownership, ethnicity, household composition, a collection of important events in life, and even political views. For other countries much more modest data sets are available. Studying a market of interest can be done by determining location, age, gender, interests and links to administered pages. 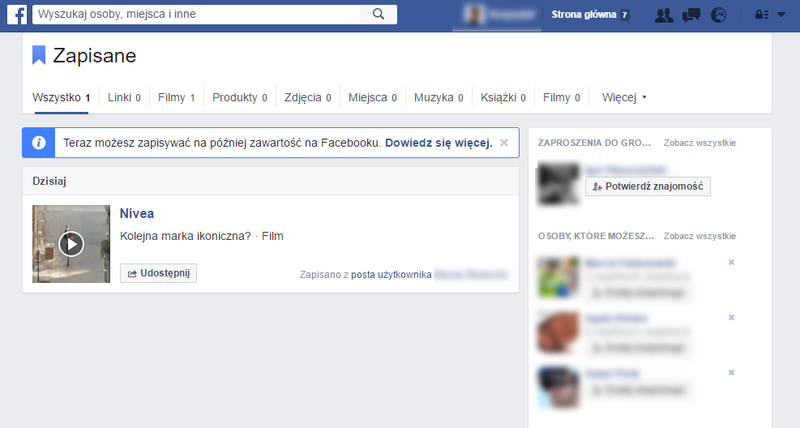 The website also provides information on the activity of selected users on Facebook. Published information shows how often a selected group comments, pushes the “Like” button, shares posts and shows interest in advertisements. Pinterest is visual social media. When browsing its resources searching for specific keywords, you can observe current trends and interests of the public or follow examples of actions of your competitors and leaders in the specific markets. 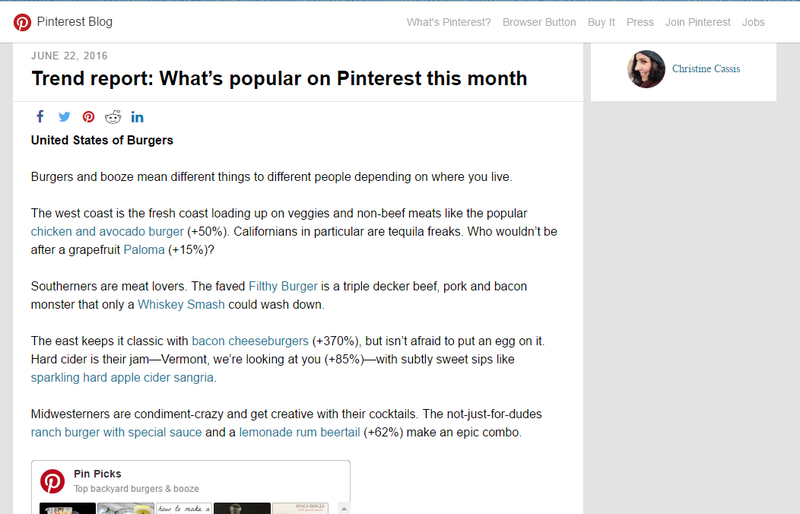 The official Pinterest blog is also worth reading, as it offers summaries and reports on the most popular topics discussed on the website. 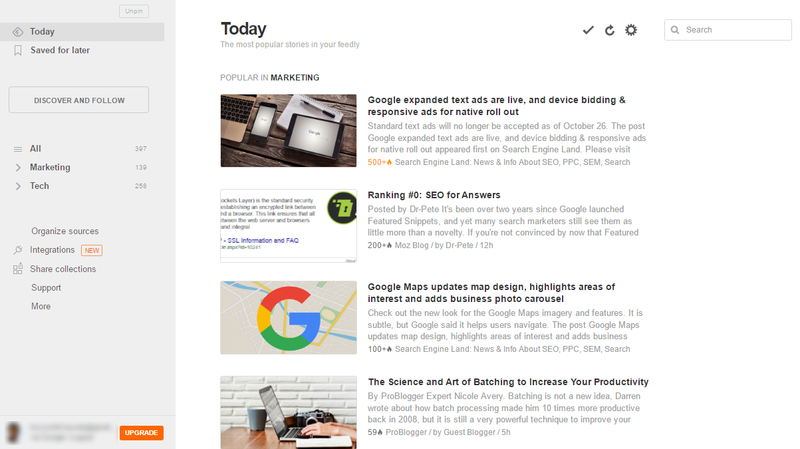 Feedly is a very well-organized aggregator of content published on websites supporting RSS feeds. The tool allows users to add sources and information that is interesting to them, and to group them in order to obtain a clearly segmented database of the latest news and entries concerning observed issues. The free version of the application allows you to follow up to 100 sources and to share them on Facebook, Pinterest and Twitter. The paid version removes restrictions on sources, introduces options of setting alerts for defined keywords, and introduces integration with many other applications, like HootSuite, WordPress & Trello. The tool can be successfully used on mobile devices through shared applications. Pocket is a tool which allows users to save data for later data when they do not have time to read it at that moment. You also have the ability to retrieve and organize it. Selected articles, videos and images can be accessed offline at any time and on any device that uses the Pocket application. Its Main Features Include: unlimited storage, tags to facilitate quick content sorting and an option to listen to articles with the text-to-speech functionality. Pocket is available for free in the basic version and has a Polish interface. The premium version of this app frees you from seeing advertisements and allows you to save materials permanently, even if they are removed from the Internet. Additionally, premium users receive access to a more extensive content filter and may choose to use suggested tags. Central Statistical Office is a state institution dedicated to analysis of trends and directions of development of economic sectors in Poland. They study of sociological phenomena and welfare of Polish society, in terms of both the whole country and division to regions. Data from CSO can be used e. g. in planning of marketing communication strategy, preparing analyses and creating articles. This application allows you to save for later use and sharing materials found on the pages of the social networking site Facebook. The collected data can then be found at www.facebook.com/saved. The Storify application is a very good tool for aggregating any content available on the Internet. 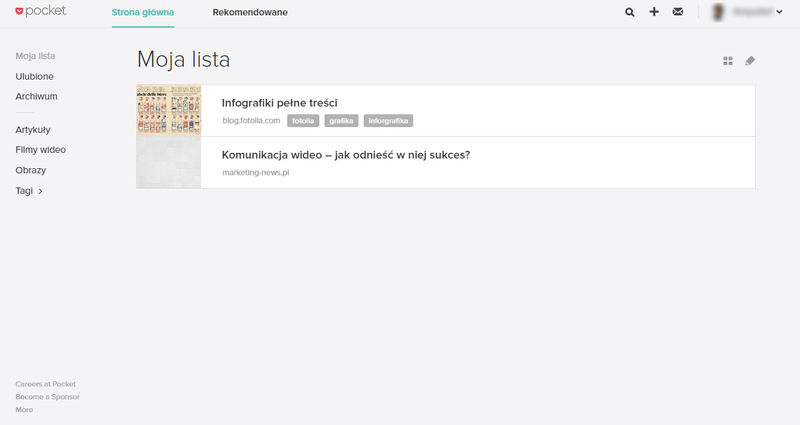 It allows you to search social streams, and in more than just the context of a specific subject. Elements saved by user can be easily used in creating an original article. Materials may be quoted, commented on and posted on a public user profile within the domain storify.com. The paid version of Storify allows for sharing of resources and having multiple journalists work simultaneously on the same article. Published content is also free of advertising. 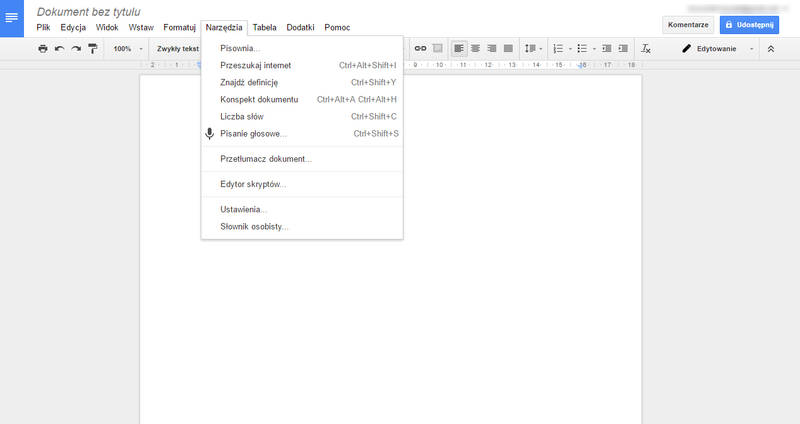 Google Docs is a free office suite available both in the cloud and offline. It successfully replaces Microsoft’s Office product, allowing you to create text documents, spreadsheets, presentations, forms, maps and more. An undoubted advantage of this set of applications is the option of sharing and co-editing your resources. It allows multiple users to work on one piece of material at the same time. 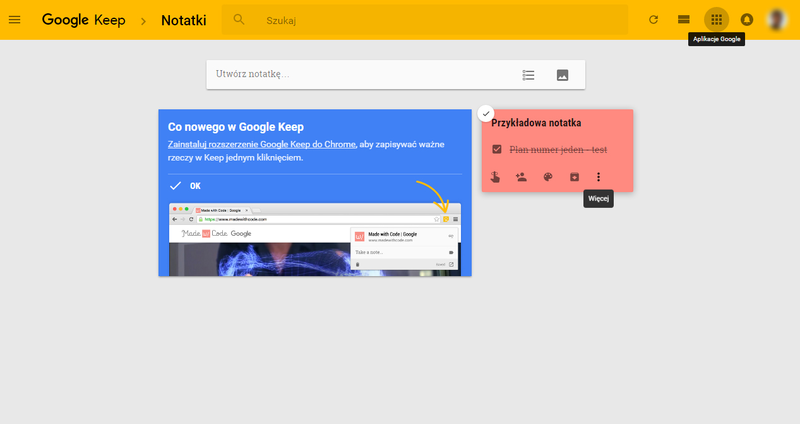 Users fond of simplicity in an intuitive interface and colorful notes may enjoy Google Keep. This application gives you the feeling of using digital sticky notes made of colored paper. 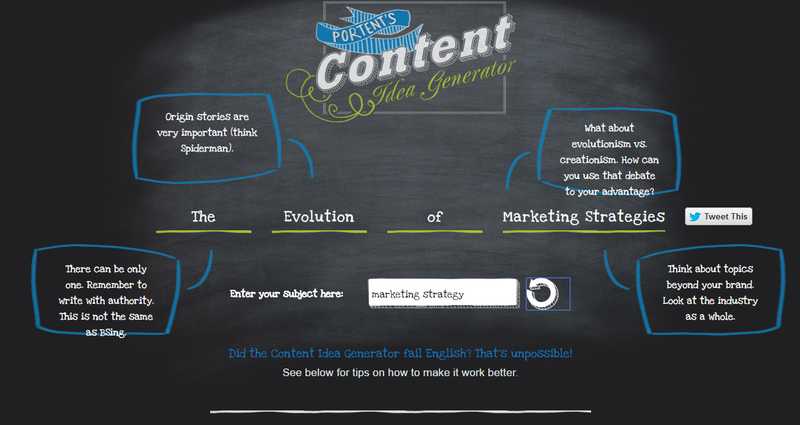 Portent’s Content Idea Generator is a very interesting application that can help authors of articles create engaging and working titles or leads. The program is available in English, but hints that it could be creating a Polish version. After a user enters a key phrase, the algorithm generates and suggests text. The tool does not require logging in or registering. 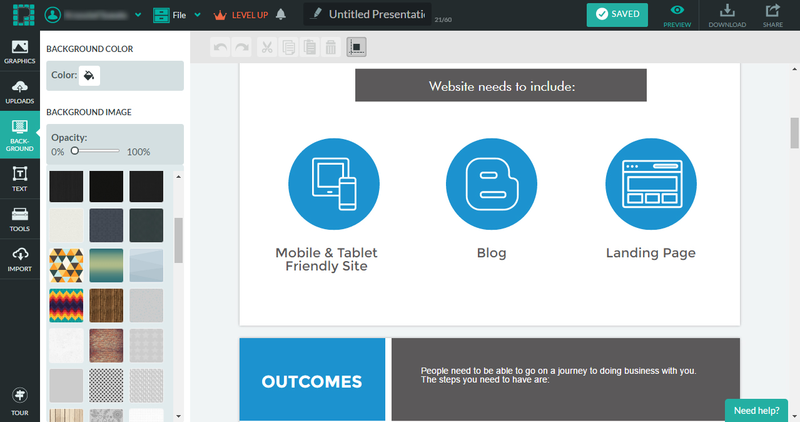 Canva is an extremely intuitive wizard for creating graphics, presentations, posters, etc. Free registration on the site allows users to access extensive free resources, which can be expanded with the paid versions. Pixrl, unlike Canva, is a typical program for image processing. 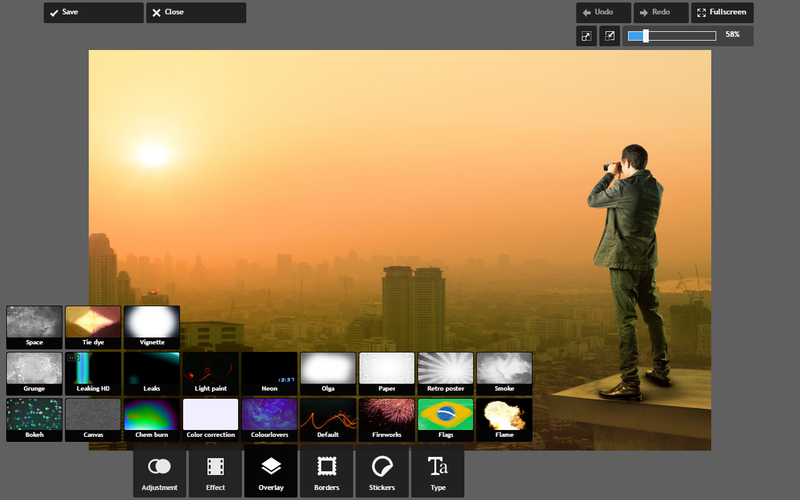 The application surprises with a wide array of functionality even though it is free. The available amount of effects, masks, frames, stickers and other elements that can be used to enrich image should satisfy both blog journalists and experts producing graphics for social media. Piktochart is an application which allows you to create artwork for infographics, presentations, banners, posters and reports. User interface is richly endowed with drag and drop elements that may be placed in infographic projects. Unfortunately, the free version of the program offers a limited number of options for saving created projects. 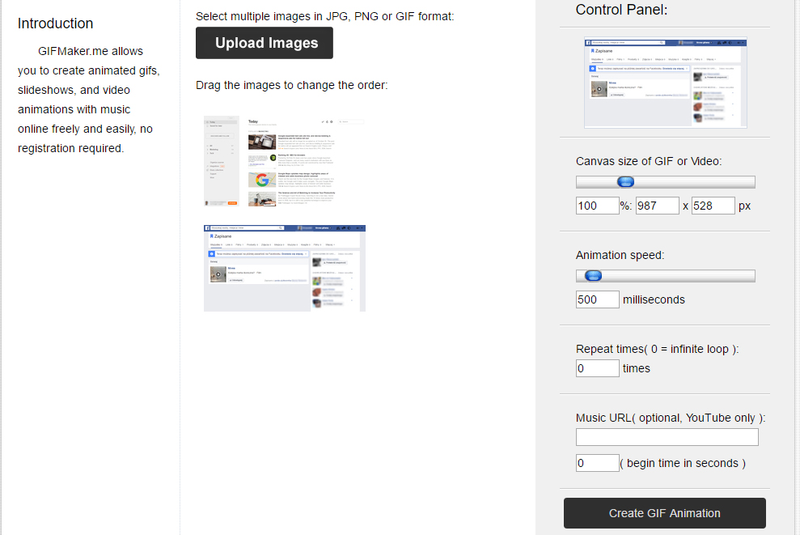 Users of the free version must be satisfied with jpg or png formats. The paid version allows customers to generate PDF documents and images in high resolution. Those users with basic skills in graphics programs will surely benefit from this application if they want to create animated gifs. Using the tool comes down to selecting and uploading static images, and then selecting desired parameters like the speed of displaying each frame. TThe above-mentioned tools are, obviously, not all that can be useful to content marketers. They are however necessary ones to be used in order to successfully engage your audience. Depending on their scope of activities, as well as individual preferences and needs, within these parameters you will be able to select your favorite tools.